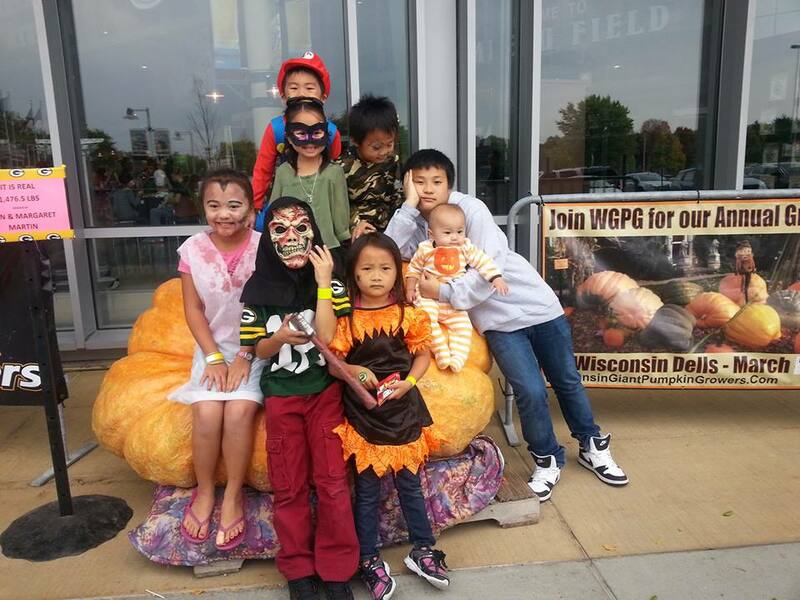 Oct. 12th, 2013- Neveah, Lucky, Jada, Telvin, Cienna, Kace, Ethan, & Khloe at the Spooktacular event held at Lambeau Field. Typical teenager, Ethan is not too enthused being around the littles ones, but they’re all so cute! I think everyone can agree with me that treats are great, but some tricks are even greater! I remember when I was in the fifth or sixth grade, my family and I went trick-or-treating around our neighborhood. At the end of the night, we all gathered in a circle at home to check every piece of candy to make sure they were good and not opened. As we looked through our goody bags, both of my cousins pulled out onions! How funny is that? I don’t know which neighbor did that, but that was a pretty slick trick up their sleeves! This Halloween, I’m super bummed that I can’t go trick-or-treating with my nieces and nephews because I work late. I like going with them because I get to enjoy a few chocolate candies while on supervision duty. Of course when they notice their favorite chocolate bar is missing, I tell them the ghost took it. They never believe me but hey, you can’t blame me. I need all of the calories and energy I can get to catch up with these little vampires, ninjas, and witches. Before I know it the older ones are already playing tricks at the next house and the youngest one is still debating if they should walk up to the first house and face that creepy scarecrow sitting on the porch to get candy. I can’t wait to get home from work today and rummage through some of their hard-earned candies. I promise I’ll only take a little, only the ones I need. 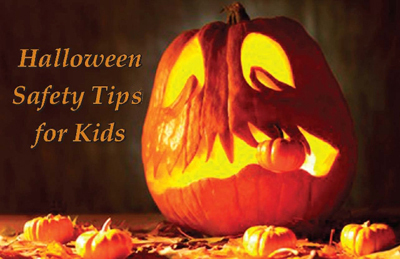 Plan the Trick-or-Treat route and make sure adults know where children are going. A parent or responsible adult should accompany young children as they make their way around the neighborhood. Make sure the Trick-or-Treaters have a flashlight. Add reflective tape to costumes and Trick-or-Treat bags. Have everyone wear light-colored clothing in order to be seen. Visit only the homes that have a porch light on. Accept treats at the door – never go inside. Instead of masks, which can cover the eyes and make it hard to see, consider using face paint. Walk only on the sidewalks, not in the street. If no sidewalk is available, walk at the edge of the roadway, facing traffic. Look both ways before crossing the street and cross only at the corner. Don’t cut across yards or use alleys. Don’t cross between parked cars. Be cautious around pets and any other animals. Make sure the outdoor light is on. Sweep leaves from the sidewalks and steps. Use a glow stick instead of a candle in the jack-o-lantern to avoid a fire hazard. There might be a chance of rain tonight so don’t forget your umbrella and ponchos! I also recommend you visit Haunted Wisconsin for the trick-or-treat times in your area. Enjoy your candies and have a safe Halloween! You might be asking “What is up with zombies?” I ask the same thing about moustaches. The difference between the two is one could be a real pandemic and one is just annoying. Figure out what type of zombies you are confronted with. There are many types of zombies: slow moving “walkers” who are affected by the elements, rage-induced zombies looking to destroy anything in their path, super-human zombies who are able to do things above and beyond anything a living human can do, etc. You want to hope for slow moving zombies as they make easier targets. Study up on zombies by watching the abundant amount of television shows and movies dedicated to them; they are your tutorials. Regardless of what type of zombie you will be dealing with, they have an attribute you do not: they never will get tired. All they want is you. So you need to get into physical and emotional shape to outlast them. Take up jogging (and dodging moving targets). Build up strength by chopping wood. NFL athletes are good at dodging and jumping over things; consider training like one. Be able to survive on only what you can carry. While a preparedness kit the size of plastic tote might hold everything you need, you won’t be able to carry it for long. Everything you need should fit into a bag small enough to carry on your body without being bulky. Zombies can grab at bulky. Learn how to drive a dirt bike. They are easy to maneuver over any terrain and require a small amount of gas. While a giant reinforced tank sounds like a good idea, they get stuck easily and require a lot of gas. Keep your eyes and ears open. At all times. No matter what. There is always a zombie hidden someplace. Don’t believe me? Watch any zombie movie. When in doubt, find Milla Jovovich. She can take out zombies. Football fans are known for their unwavering dedication to their favorite team – especially fans in Wisconsin. Now, the American Red Cross is asking Packers fans to dedicate themselves to helping patients in need by donating blood Nov. 8 at the Green Bay Packers Blood Drive at Lambeau Field. All presenting donors will receive a giveaway item and be entered into a raffle for a chance to win prizes. All blood types are needed, especially types O negative, A negative and B negative. 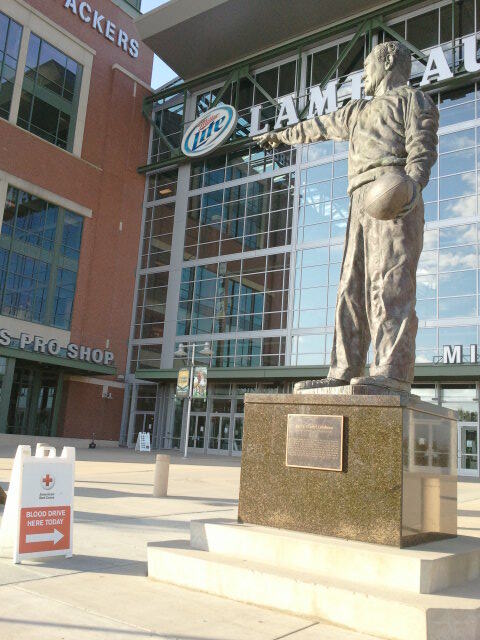 Nov. 8 from 7 a.m. to 7 p.m. at Lambeau Field – Legends Club Room, 1265 Lombardi Ave. in Green Bay, Wis.
To make a donation appointment, please call 1-800-RED CROSS (1-800-733-2767) or visit redcrossblood.org. Free childcare and parking will be available. The need for blood is constant. On average, the Red Cross must collect about 15,000 pints of blood every day to meet the needs of patients in Wisconsin and across the country. Those attending the blood drive will also have an opportunity to send a holiday message to a service member. Preprinted cards will be available to sign as part of the Red Cross Holiday Mail for Heroes program. Holiday Mail for Heroes enables Americans to pass along holiday greetings to active-duty service members, their families and veterans and at hospitals and installations around the world. To learn more about the program, visit redcross.org/holidaymail. Down the Road & Across the Globe the Red Cross is There! The Australian Red Cross is currently supporting people in evacuation centres in Springwood, Lithgow and North Richmond.We are expecting these to close down over the coming days. The recovery centre in Springwood remains open and we are assisting people as they come into the centre seeking advice on the next steps they should take. Red Cross is currently supporting people in evacuation centres in North Richmond. The recovery centre in Springwood remains open and we are assisting people as they come into the centre seeking advice on the next steps they should take. More than 120 Red Cross volunteers and staff have been involved in the response and most of them have completed multiple shifts. Additional teams are standing at the ready across the Western Sydney region. We are assessing the wellbeing of staff and volunteers to ensure they are ok and sending in fresh teams to continue with the relief work. 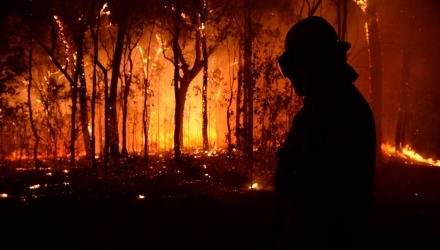 People who have lost their homes or had property damaged are experiencing stress, exhaustion and are trying to come to terms with an awful reality. Recovering from an emergency is a complex process that may take months, even years to overcome. Red Cross is committed to supporting people on their recovery journey. We talk with people in emergency-affected communities to identify gaps in support and our volunteers work with communities in the days, months and sometimes years after an emergency. Long after the emergency is over, Red Cross helps individuals and communities as they rebuild their lives. The American Red Cross has released a one-year Superstorm Sandy report detailing its response and recovery work to help residents affected by this historic storm, which made landfall on October 29, 2012. INSIDE THE REPORT The One-Year Superstorm Sandy Report details the extraordinary measures taken by the Red Cross to respond to Sandy, from volunteer deployment and relief efforts to temporary and permanent housing assistance to key partnerships with government and non-government entities, as well as the strong outpouring of support from donors.. Serving more than 17.5 million meals and snacks in a huge feeding operation. Handing out more than 7 million relief items such as cold weather items and clean-up supplies. Providing nearly 113,000 health services and emotional support contacts for people who have been living in very tough conditions. Providing 74,000 overall shelter stays for Sandy. RECOVERY EFFORTS ONGOING Even as its emergency relief work was occurring, the Red Cross began to help people in the long recovery process that continues today. Trained Red Cross workers are meeting with those in need, providing case management and financial assistance to help with security and utility deposits, home repairs and rent as well as linking them to available social service programs. The response and recovery from a storm of this size takes time and help from many organizations. Over the past year, the Red Cross has worked together with government and community partners at every step to provide assistance to those that need it most. In addition, the Red Cross has given $60 million in grants to a number of nonprofits working in New Jersey and New York to help people with home repairs, mold remediation, food, financial assistance and financial counseling, and to support the work of community roundtables to help address unmet needs. THANK YOU The work of the Red Cross is possible because of the compassion and generosity of the American public, and the Red Cross already has spent or made commitments to spend $280 million, more than 90 percent of the $308 million donated for Sandy. The Red Cross expects to use the biggest share of the remaining money to help people with a range of housing-related expenses, support community resiliency programs and give more grants to community non-profit partners to help Sandy survivors. “We are grateful for the generosity of donors across the nation who continually make it possible for the Red Cross to respond to once-in-a-generation disasters like Sandy, as well as the 70,000 disasters we confront each year,” McGovern said. The report and other information on the Red Cross Sandy relief and recovery efforts can be found at www.redcross.org/sandy-response. 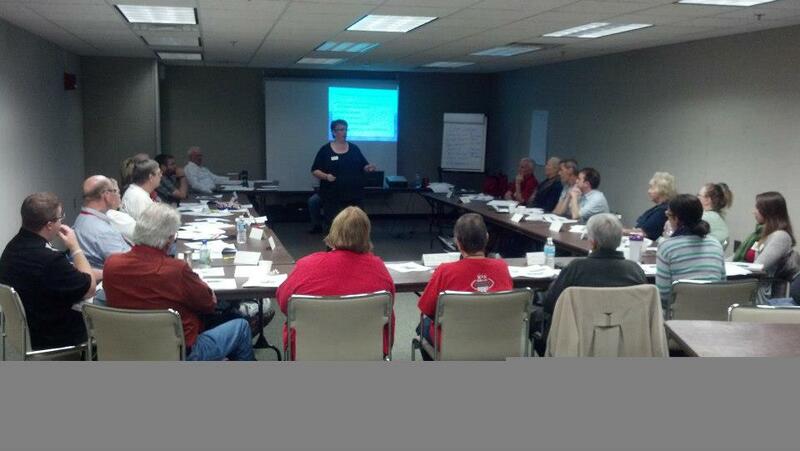 Volunteers at the 2012 Disaster Conference in Oshkosh taking training. How can I make a difference? How do I turn my compassion into action? For 231 registered American Red Cross volunteers, we answer these questions this week. Each of them has made a commitment to attend the 2nd Annual Wisconsin Disaster Training Conference. Our 5-day disaster conference is to train new volunteers and expand current volunteers & staff skills so we are ready for additional – even larger disasters. This ensures the people who need our help when emergencies occur will be done with maximum efficiency and collaboration. Altogether, 48-courses will be offered! Each class betters our ability to provide for people affected by disasters with safe shelter, food, emergency relief supplies, emotional support and health services. Training is interactive, hands-on and better prepares us to respond to both man-made & natural disasters. Advanced level classes focus on leadership development to managing a disaster operation around the country! While this is the largest & most comprehensive training week of the year, we do offer classroom & on-line training year-round. For people interested in becoming a Red Cross volunteer, visit www.redcross.org/volunteer for details and an online application. The WI Disaster Conference prepares us to respond to both local and national disasters through the generosity of people’s time, talent & treasure. Join Us! Feel free to join in on the Twitter conversation by following #WITrains! Thank you Fox 11 & Angela Kelly for focusing on our need for additional volunteer drivers today to support our Transportation Program! The American Red Cross in Northeast Wisconsin is in need of volunteer drivers for its Transportation Services program. The program offers rides to individuals 60 or older or who have a disability and need transportation for a variety of reasons — from medical appointments to grocery store trips. Currently, there are 80 volunteers who drive a fleet of 24 vehicles throughout the Green Bay metro, Pulaski areas and starting October 22, Denmark area. Rides are available Monday – Friday, 8:00 a.m. to 4:30 p.m. It costs $3 per person, per one-way ride. Click here for more information. Red Cross leaders say the program is in need of more volunteer drivers. It’s one way you can be “Making A Difference.” Click here to learn more about how to volunteer. 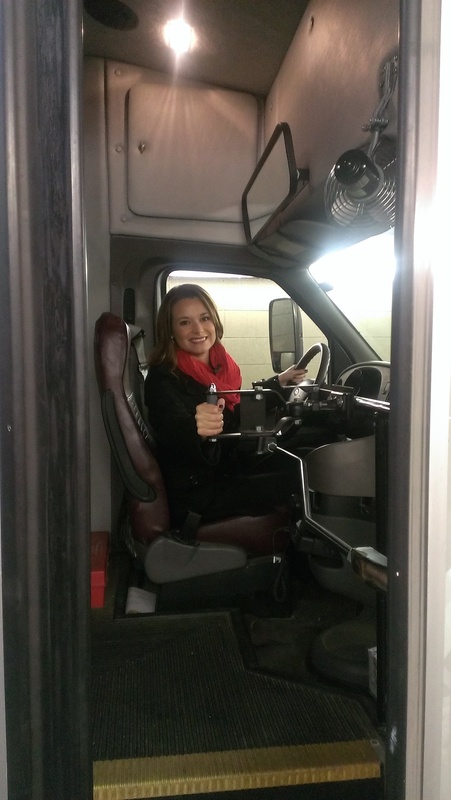 FOX 11’s Angela Kelly learned more about the program for Wednesday’s Good Day Wisconsin. Click on the video links to watch interviews with Red Cross leaders, current volunteer drivers and program clients.